#3DPM has established an office in an indoor market and it has been furnished with 3D printers and computers and it has been set-up to research and develop the #3DPrinting Academy; as well as spread awareness of 3D printing technology. Help is being asked for, to grow #3DPM Farnworth; and in return we hope to help those who help us. For example: to access 3D printing resources, knowledge and the network, etc. If interested? Then please get in contact at our meet-ups; or email 3dprintgroup@gmail.co.uk for info.You are also very welcome to call in for a chat; the office is usually open around mid-day 10-3pm Mon-Sat. ... 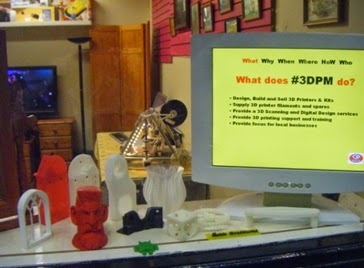 Address: #3DPM, The Indoor Market, 2 King Street, Farnworth, BL4 7AZ, UK.